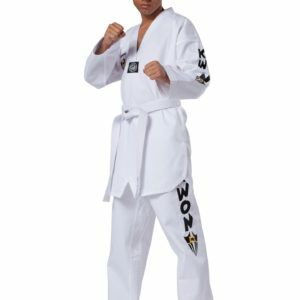 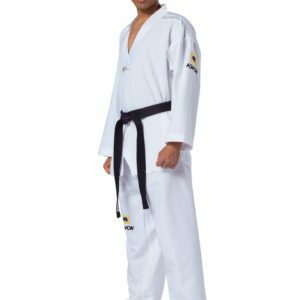 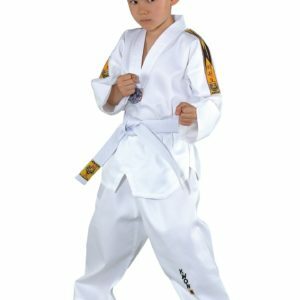 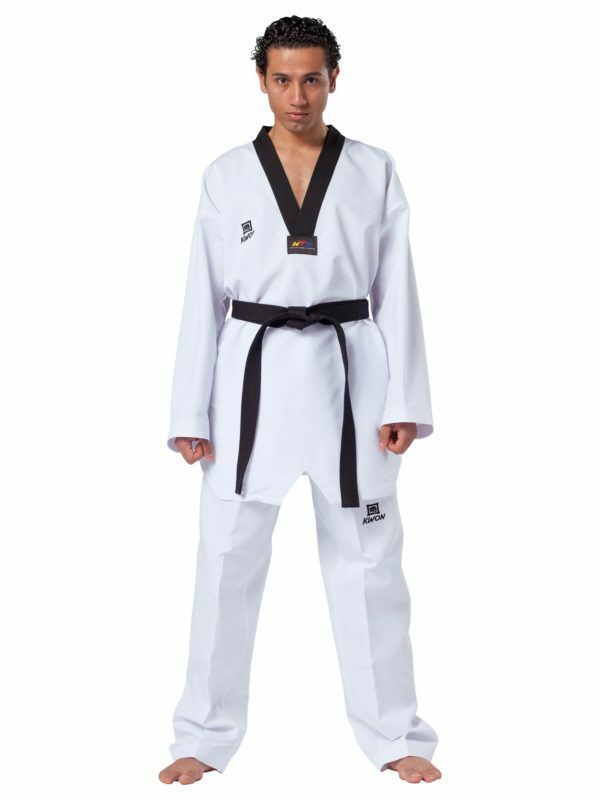 The high-quality Dobok Revolution made made of a new lightweight polyester with a Taekwondo specific woven fabric structure. 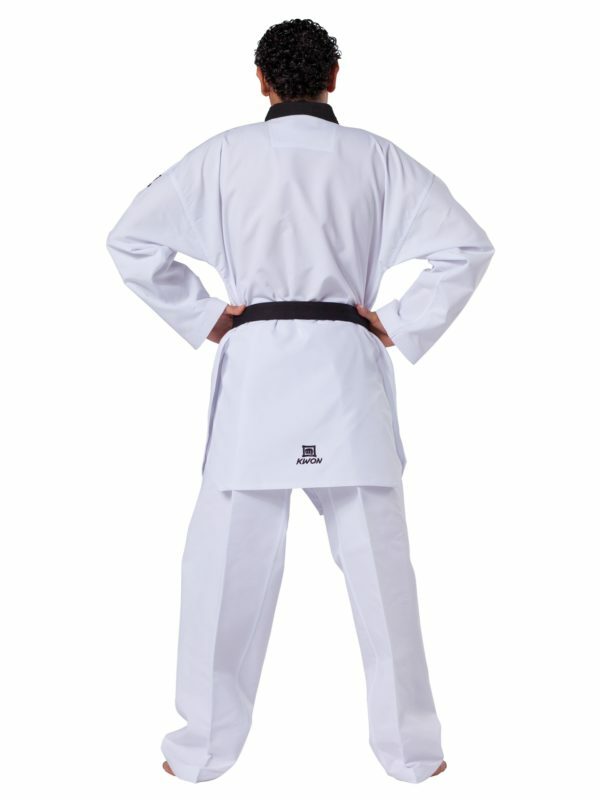 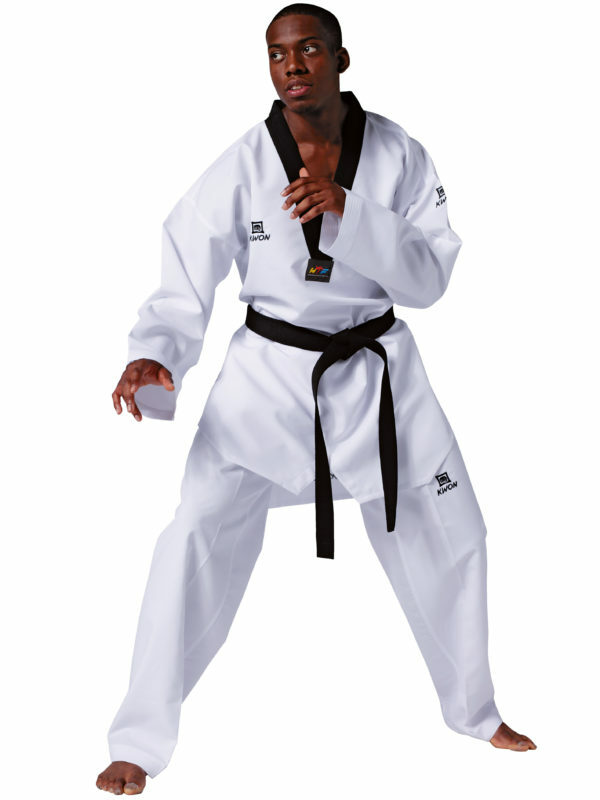 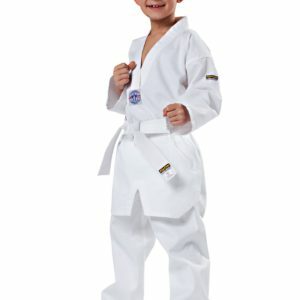 The up to 50% lighter material dries quickly and does not stick to the body during taekwondo training or competition. The cooling property of the polyester ensures highest wearing comfort. 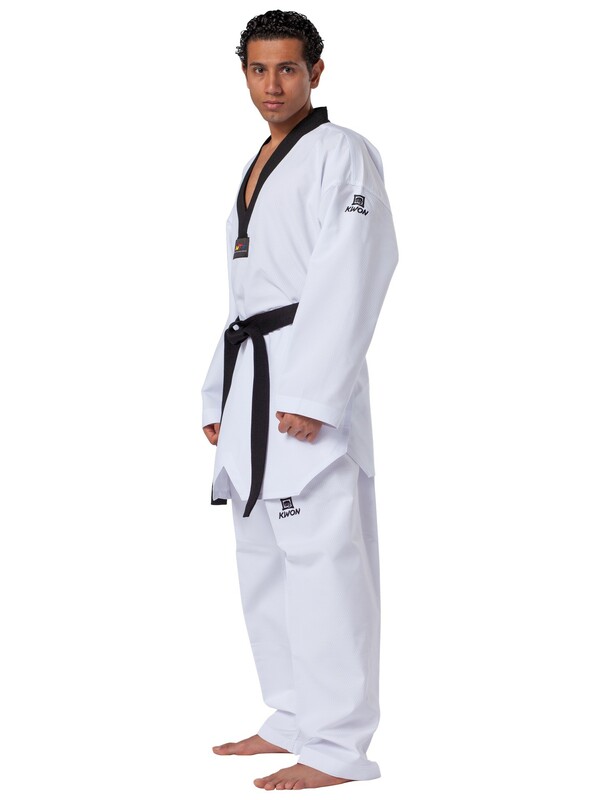 The clean cut, proper workmanship and black logo embroideries make this uniform a classics in the premium segment.